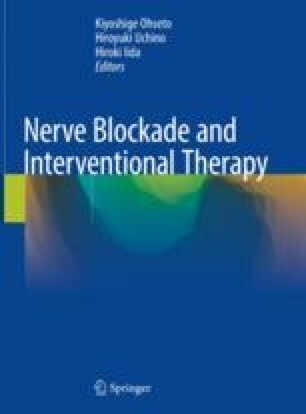 A dorsal scapular nerve block is performed for pain in the neck, shoulder, and interscapular region. This technique involves injecting a local anesthetic into trigger points (tender points, palpable nodules) located on the line of the dorsal scapular nerve. The anesthetic loosens tension or contracture of muscles and promotes blood circulation, thereby alleviating pain.